Leading news this week focuses on an unusual new Canadian-based start-up called Vitality Air that is selling bottled air to China. You might not think this is a product with much shelf appeal. But you would think differently if you had to breathe the toxic air in Beijing, China's capital city. 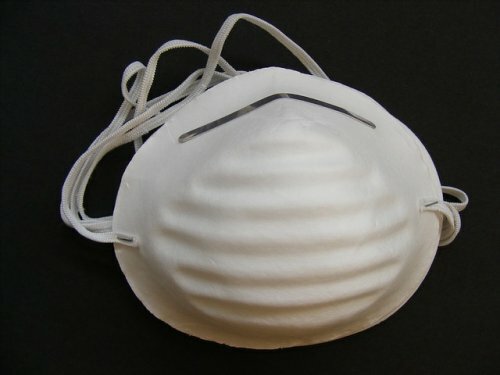 What exactly is in their air that is so deadly many Chinese wear face masks when they walk outside? These top 5 air quality killers are actually everywhere. Here is what you can do today to keep your indoor air clean and pure to breathe. These top 5 air quality killers can be found in all major metropolitan areas and many suburban locations as well. In fact, Canada's Vitality Air has to travel to Banff to bottle the air they are shipping overseas. As the name suggests, particulate matter is made up of infinitesimally small particles of toxic matter. Imagine one strand of human hair divided 30 ways: that is the size of an average particle. They are so tiny, they slice through skin and slip inside lungs with no difficulty at all, causing high incidences of heart and lung cancer. Nitrous oxides (NOX) are responsible for both causing and exacerbating issues related to bronchitis, emphysema, and other lung diseases. Whenever fossil fuels are burned at very high temperatures, NOX is released into the air supply, causing toxic air and acid rain. Nicknamed the "silent killer," carbon monoxide (CO) is impossible to detect without the help of an alarm system. Carbon monoxide is produced as a by-product from any combustible process that uses fossil fuels, including the operation of your HVAC system. Sulfur dioxide (SO2) is a major trigger for asthma attacks and can also cause other long-lasting respiratory ailments. Burning fossil fuels is a leading culprit when high levels of SO2 are found in the air. You may think of ozone as something good that our planet needs. But when ozone, nitrous oxides, and volatile organic compounds (VOCs) are all present together with sun and heat, they form smog, a truly deadly cocktail of all the worst kinds of airborne poisons. In time, exposure to this type of ozone can cause permanent scars to lung tissue. Reading about what some journalists and air quality experts have dubbed "Airpocalypse" may make maintaining air quality seem daunting—even impossible. What can one person do? A LOT, as it turns out, and not just to keep your own air supply clean, but also to influence those around you to follow suit. Here are six actions you can take right away to clean, filter, and purify your indoor air at home and work. You can also encourage others to emulate your good example. You can think of changing your air filters like a first-responder on the scene to an air quality emergency. Your air filter is like your indoor air mask—it keeps nasty particulate matter, ozone, pollen, dust, and toxins from being blown through the air ducts and into your indoor air supply. For even better filtration, consider switching to a HEPA-certified indoor air filter. You can also install a HEPA-certified central air filtration system. A system like the Sanuvox U.V. air purifier can purify the indoor air in any size space, and it is self-cleaning and self-maintaining. These amazing systems give you worry-free indoor air quality at home and work. With a heat recovery ventilator, your HVAC system's air conduction routes will never become cross-contaminated. The fresh air your air ducts pull in will be sequestered away from the contaminated exhaust-filled air that is being pushed back outside. As well, your indoor air is continually balanced for humidity/moisture and freshness, so there is no worry about mould or mildew forming. This is a no-brainer in this age of increasingly contaminated, toxic air. By having your indoor air tested for purity and quality, you have the knowledge to tackle the specific air quality issues that need your attention. The test generates a full report of found toxins along with recommendations for remediation. If you have ever found yourself avoiding looking under your bed or pulling the couch away from the wall, you are probably dreading seeing dust bunnies, dead bugs, and crusty objects you can't identify. So just imagine what you might see if you look inside your HVAC system's air ducts! Whether they haven't been cleaned in a couple of years or ever, over time the buildup of dust and debris can begin to literally block the ducts themselves. By having your air duct system professionally cleaned, you remove all of those toxins at one time and start again with a fresh, clean air supply. Mattresses and dryer vents are two of the favorite hiding places for dust mites. Dust mites are one of the leading triggers for allergies and asthma attacks and other breathing problems. By cleaning your mattresses and then cleaning your dryer vents, you remove the dust mites and other debris and keep them from being recirculated with each wash cycle. These six actions may seem small in comparison to solving the world's air quality crises. But the truth is, taking small, consistent, ongoing, knowledgeable steps at an individual level is the only way to improve air quality for everyone over the long-term. If you have questions about improving indoor air quality, contact Clean Air Solutions at 905-544-2470 or online.